Spray 13x9-inch (3-quart) glass baking dish with cooking spray. In 10-inch nonstick skillet, cook breakfast sausage over medium-high heat 5 to 7 minutes, breaking up sausage, until no longer pink; drain. Transfer sausage to small bowl; wipe out skillet. In medium bowl, beat eggs, salt and pepper; stir in green chiles. 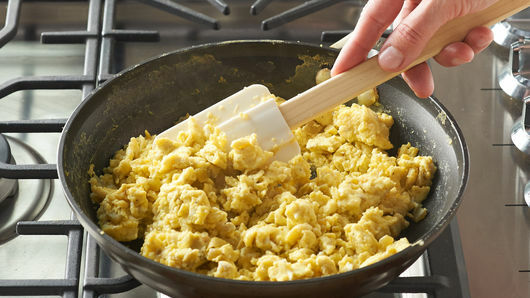 In same 10-inch nonstick skillet, melt butter over medium heat. Add egg mixture; cook and stir 5 to 7 minutes or until starting to thicken and cooked through. 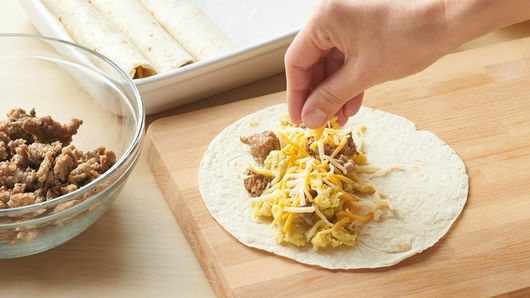 To assemble enchiladas, fill tortillas evenly with cooked breakfast sausage, egg mixture and 1 1/2 cups of the cheese. Roll tightly; place seam-side down in baking dish. Pour enchilada sauce over assembled enchiladas, making sure to cover all of them. Spray one side of foil with cooking spray; cover baking dish with foil, sprayed side down, and refrigerate up to 6 hours. Heat oven to 350°F. 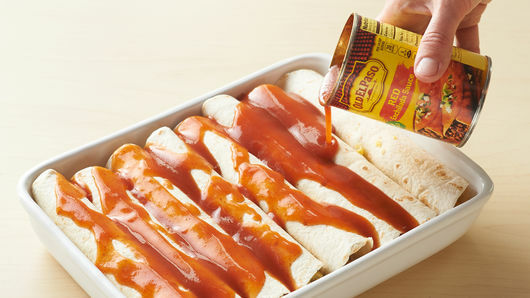 Bake covered 35 minutes; remove foil, top with remaining 1/2 cup cheese, and continue baking 15 to 20 minutes or until cheese is melted and enchiladas are bubbling around edges. Cheddar or Cheddar Jack cheese is a great substitute for Mexican cheese blend. If you want a low-stress option for a weekend brunch, this breakfast enchilada recipe is for you. Once prepared, this dish can be refrigerated up to 6 hours before baking, giving you time to enjoy your company and not feel rushed. Featuring breakfast sausage, warm tortillas and fluffy eggs, this enchilada casserole will satisfy your brunch cravings instantly. If you want more spice, bulk pork breakfast sausage is made in a hot variety, which gives your enchiladas an added kick. This recipe only takes 25 minutes to prep and serves up to 8 people. Enchiladas are not limited to breakfast! 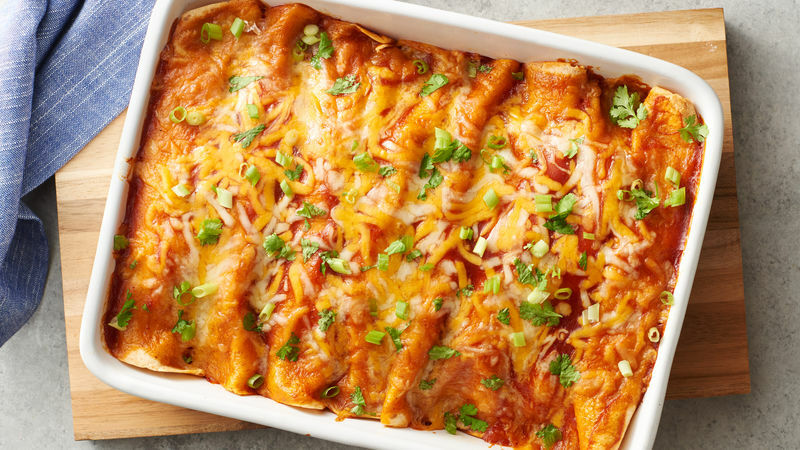 We’ve got dinner recipes and enchilada twists to suit your needs as well.